Andrew Pieper @bikeking_19 was living out his poker dream in Vegas, and then got robbed for it all. "5, 4, 3, 2, 1, Happy 2018!" Myself & thousands of others shouted as the sound of fireworks above nearly drowned out the cheers and celebration. The new year also marked my one-year anniversary of playing poker for a living in Las Vegas, and oh what a year it had been. I remember packing my car quite literally to the brim with all my possessions and making the 2,300-mile drive to Sin City after Christmas last year. Was I excited? Yes. Was I nervous? Extremely. But I was taking my shot; I had to know. I've detailed more about how that came about in this article, so I will try not to repeat myself extensively. 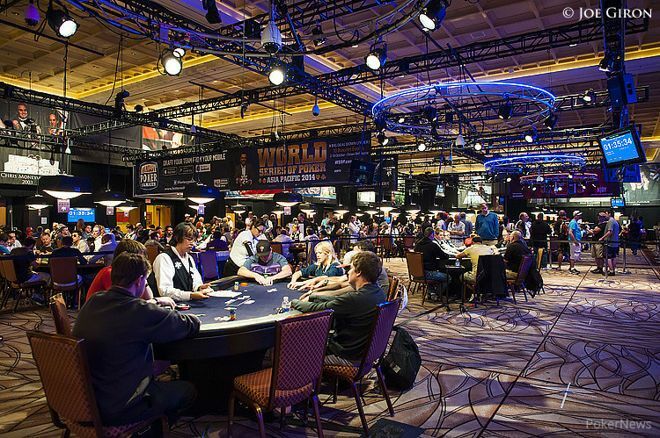 There were parts of my mind that imagined, like many players have, getting my name on a WSOP bracelet, and another part of my mind saw Mike McDermott driving the truck graveyard shift; I didn't know what was going to happen, but I was going to find out. January and February were about break-even for me. I was wondering why this was when I had set up a schedule for myself and was playing around 40 hours a week just like any other job. Maybe the Vegas games were just tougher than I had thought they would be. Maybe the Vegas games were just tougher than I had thought they would be. Maybe I wasn't even a winning player. As Joey Ingram bluntly put it, "Poker is f***ing hard... and if you're not out there doing something every single day, consistently putting in that effort and that extra work, then there's a good chance you're never going to make it." I told others about my struggles in the game, and they advised me I was making a large mistake with having set hours and set days to play. "Some weeks there's a ton of people in town who visit the ATM as often as the restroom; some weeks are dead. Pay attention to Bravo and how many games are normally running each day, and then play accordingly. Typically, the more games running, the better they are." With that in mind, I wiped my calendar of the "Play poker 3:00 PM - 12:00 AM" entries. I was only playing $1/$2 and $1/$3, and many players struggle just to beat the rake at these stakes, much less make a living. It became obvious that game selection was going to be vital to my win rate. Mark my first Hendon Mob cash making the final four tables of a WSOP Circuit monster stack, playing alongside Bart Hanson, Mike McDonald, and David "ODB" Baker. It was pretty surreal sitting among guys who have over a million in cashes. Meet quality players who have become close friends and peers, from fellow low-stakes grinders to bracelet winners in my hand histories texting group. Play according to the quality of the game, not a set schedule. I was so used to going to the poker room and not having another option that it hurt my win rate. Play more hours at Caesar's in order to obtain Diamond status. I was unaware of just how nice Diamond status is, and it's completely attainable at Caesars where you are awarded double tier credits. Playing all around town in a mix of rooms, my hours were spread out. On a normal night, the Rio struggled to get four people to start their $500 guaranteed tournament. However, when the World Series showed up for the summer, you would have thought the Rio invented poker. I was blown away by how many people were suddenly here. I had always seen the Main Event on TV, but that greatly failed to capture the scope of the Series and how it transformed Vegas for a few months each year. "Oh hey there's Doug Polk, oh there's Elky; woah, is that Jason Mercier?" Pros, amateurs, fans, everyone walked the same halls and sat at the same tables; there were no red ropes or "pros only" areas. It was incredible. My friend Chase Bianchi agreed to play the $1k Tag Team event with me, and I remember the excitement of walking to the table holding an official WSOP event ticket in my hand. I made the dinner break, came back with around twenty big blinds and lost to all in preflop and left, as Norman Chad would say, "another kid with a dream." Play in my first official WSOP event. Even without a cash, the excitement and thrill of it all was a rush, and I look forward to playing in more of them. Meet some more really cool people in poker. Make a schedule for the summer. There are so many events and things going on that you end up sacrificing EV if you don't have a plan for what you're going to play. Socialize with friends a little bit less and grind a little more. There were definitely nights spent at the bar or craps tables that should have been on the felt. As quickly as it had come, the Series was gone. The super busy rooms were now empty. With poker in a lull, I decided a poker trip outside the state was probably a good idea. I convened with some friends from a Skype group in St. Louis for a Heartland Poker Tour event. This proved to be an excellent escape. I remember the excitement of walking to the table holding an official WSOP event ticket in my hand. Getting out of the 24/7 city was refreshing, and traveling to another state specifically for poker felt really good. For the majority of the series, I was about break-even in cash and down about $500 in tournaments. Then, on the final day, I won a satellite to a survivor tournament and cashed in that to turn the trip from -$500 to +$1,000 which was good for my confidence as well as the bankroll. I had thought my traveling would slow down once I returned to Vegas, but instead, it increased. Another poker pro gave me a Punta Cana Poker Classic Package he had won. It included entry into the $1,500 Main Event, a week stay at an all-inclusive resort and even round-trip airfare. While the poker portion of the trip ended in disappointment, losing aces to jacks all in pre for a 108 big blind pot late on Day 1, the trip was an excellent vacation. It was nice to just get away from everything and relax, thinking about what drink I wanted next as opposed to ranges and hand histories. Upon return to the States, I was met with the devastating news that my bank account had been hacked into and drained. Upon return to the States, I was met with the devastating news that my bank account had been hacked into and drained. Nearly everything I had worked for all year, more than double what I had come out to Vegas with, had disappeared. The fight to get the money back is one I'm still currently engaged in, but at the moment, the $43,000 is gone, and I was left with about $3,000. As Rocky Balboa put it, "fighters fight." Crying about it (which I did) was only going to get my shirt wet; crap happens, and you move on. A large percentage of poker players end up going broke for one reason or another. Typically it's not about how it happens, but how they respond that defines their career. Well, I'm not going home. Actually, I don't even have a home as you can read about here. Whether I end up running it up off my short roll or by getting a "real job" until I can return to the felt full time, my year-end results are positive and prove I'm beating the game, just the move up in stakes is going to take a little longer than I thought. Make the transition from a 9-to-5 job to poker. Despite not making as much money as my aviation job provided me, life isn't about money; it's about living to your potential and passions. I feel I live a much greater quality of life in poker than I ever did working for someone else. Start a VLOG and write some articles for PokerNews. I was pretty hesitant at first on both of these fronts, but I'm glad I did them. The editing time in the VLOG ended up leading to a very inconsistent schedule; however, I believe the potential in the channel is there for a unique perspective in the poker scene. I intend to have a more regular schedule of both vlogging and writing in 2018. Diversify my assets as opposed to having everything in one bank. Having all your eggs in one basket, no matter how secure that basket seems, is rarely a good idea. Be more consistent in putting out VLOGs and articles. This amounted really to simply poor scheduling and planning. If you don't make things a priority, they won't get done. To call the year a roller coaster would be like calling Phil Hellmuth "sometimes excitable." 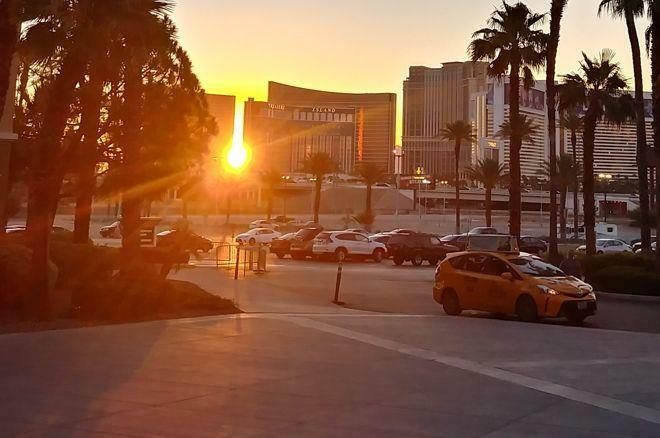 Highs included a deep run in a tournament playing with high-stakes pros, meeting several icons of poker in person and profiting at cash games at 11bb/hour. The lows included getting robbed, a few downswings, and learning how to play through those, and losing connection with some of my family and friends who couldn't fathom why anyone would give up a good job to "gamble." "It's not a f***ing pipe dream. I know I'm good enough to sit at that table." 2018 so far has been equally swingy; My profit graph year-to-date looks like I was tracing the Himalayas. Up to Superbowl Weekend, it was going well. After that, it seemed like no matter how strong my hand was at a certain point, by the river the pot was being pushed in the opposite direction. I decided to get a part-time job that did not impede my playing schedule to help offset living expenses, still not committed to going back to work full time. But with the bankroll hovering dangerously low, it remains an open option. "You don't hear too many stories about guys who take their shot and miss." So far, I haven't "missed," but the count is full. Poker has provided so many incredible experiences for me that I would have never been able to do if I was grinding a 9-to-5. Where I am today with my own VLOG and getting recognized at the tables is not what I imagined when I first saw Vegas on the horizon; it's been an exciting journey, and I look forward to what's next. Is playing poker for a living always amazing? No schedule, I love poker, you can win several hundred in a day... No, it's not. You can also become lazy because you don't have a schedule, there are days and tables you won't want to be playing, and you can also lose several hundred in a day, having to erase a negative mindset by the next session, so it doesn't cost you. But, as Mike McDermott said in Rounders, "It's not a f***ing pipe dream. "I know I'm good enough to sit at that table."